Here are some photos from this year´s summer vacation on ‘Sally’. 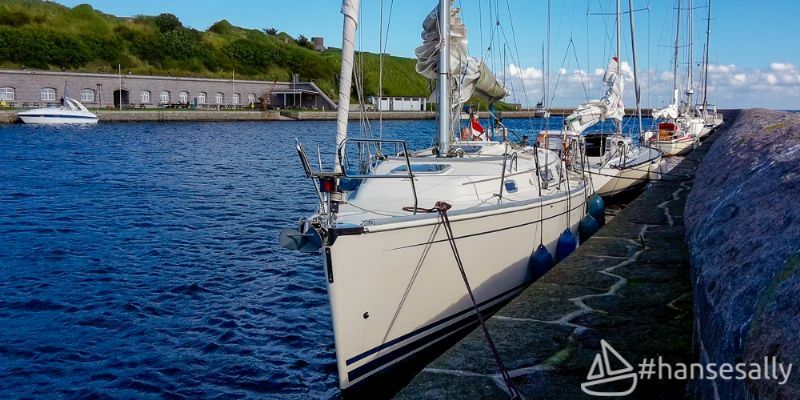 We sailed her from The Netherlands to Denmark during a two week period including a couple of days sailing on The Standing Mast Route from Lemmer, NL to Lauwersoog, NL and also through the Nord-Ostsee-Kanal from Brunsbüttel, DE to Kiel, DE. 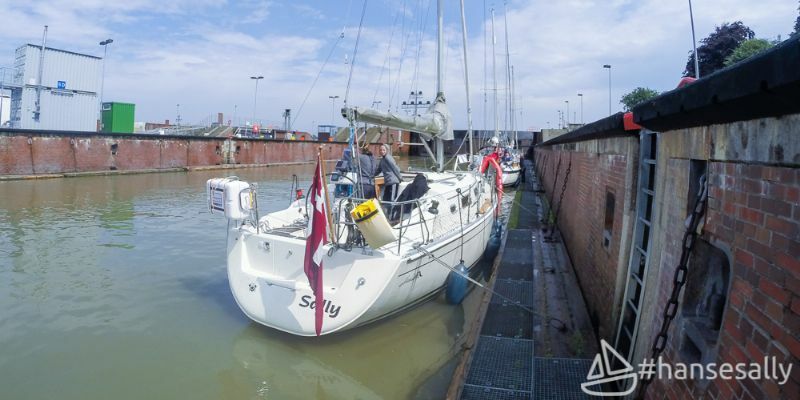 On the Standing Mast Route just outside Leeuwarden, NL, ’Sally’ is waiting her turn to sail under a busy train bridge. 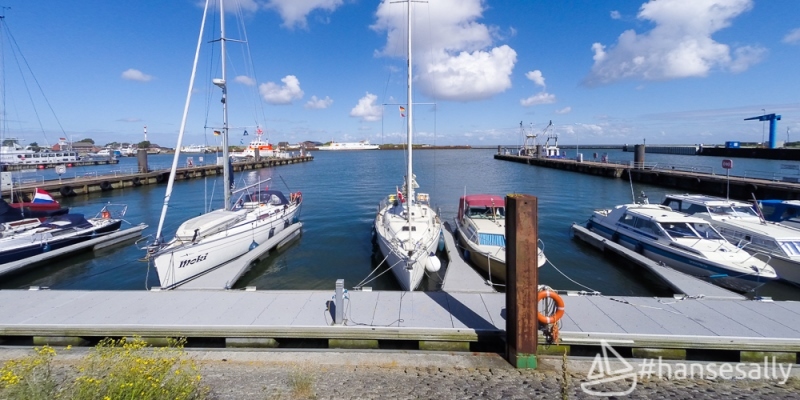 In Borkum, DE we found a mooring spot in Burkana Hafen which also hosts quite a bit of commercial vessels. 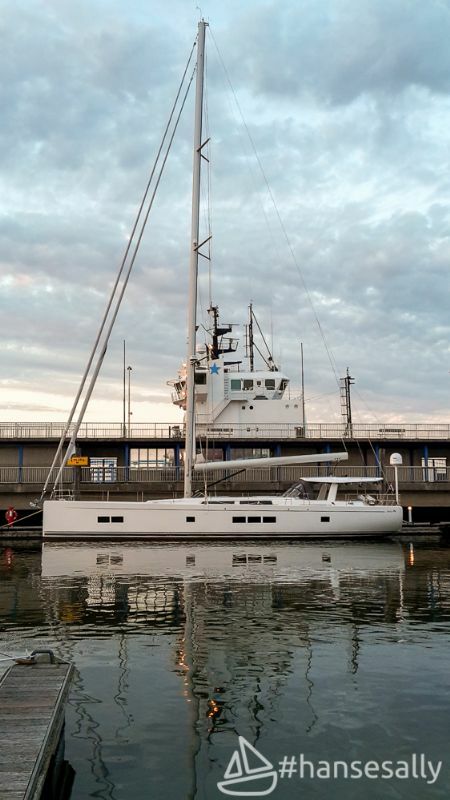 In Cuxhaven, DE we saw this beast! 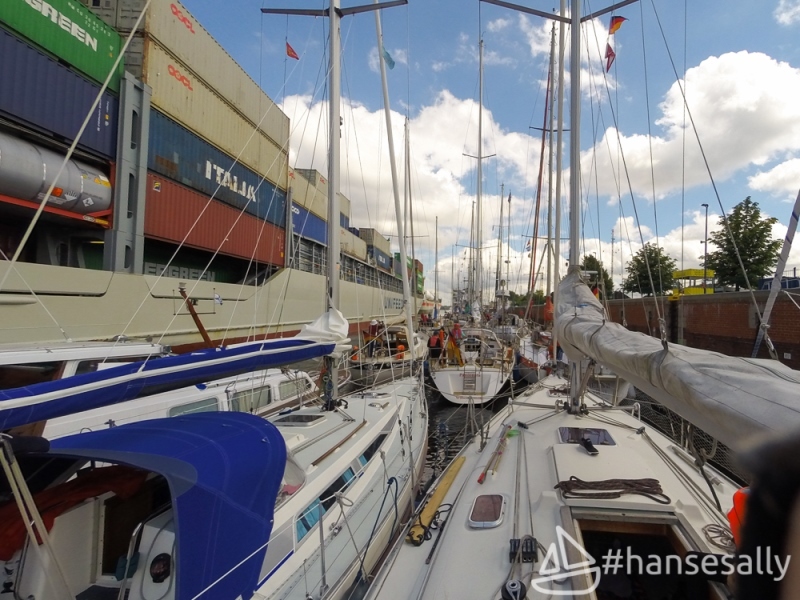 A Beautiful Hanse 675… drooling mode: On! ‘Sally’ in the locks at Brunsbüttel, DE, about to enter the Nord-Ostsee-Kanal. 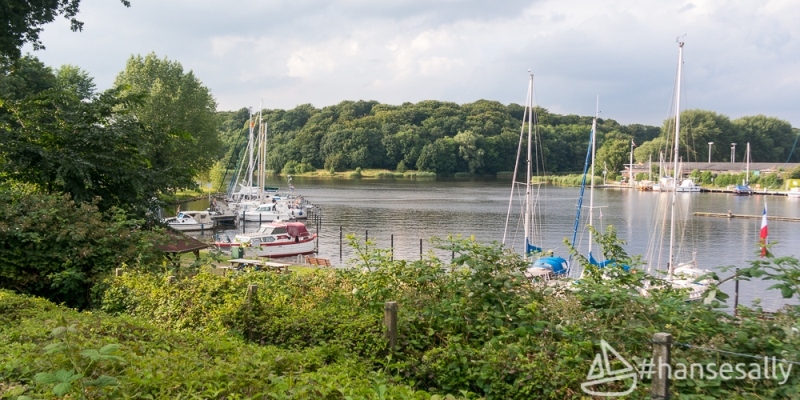 Half way through the Nord-Ostsee-Kanal we found a tranquil spot in Rendsburg, DE. 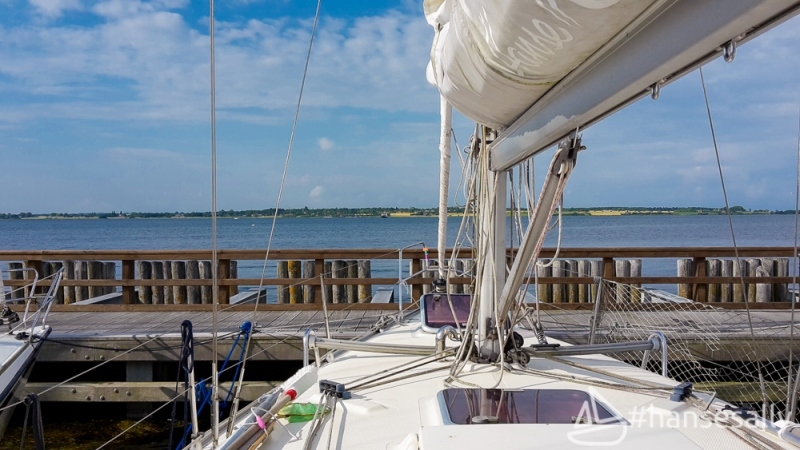 Bagenkop, DK – Situated on the Island of Langeland this small sized marina is quite popular with cruisers. 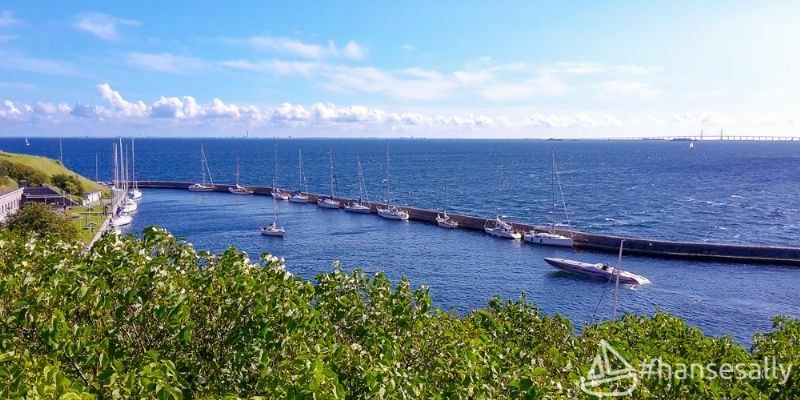 During the holidays, all berths usually get filled up by late afternoon. 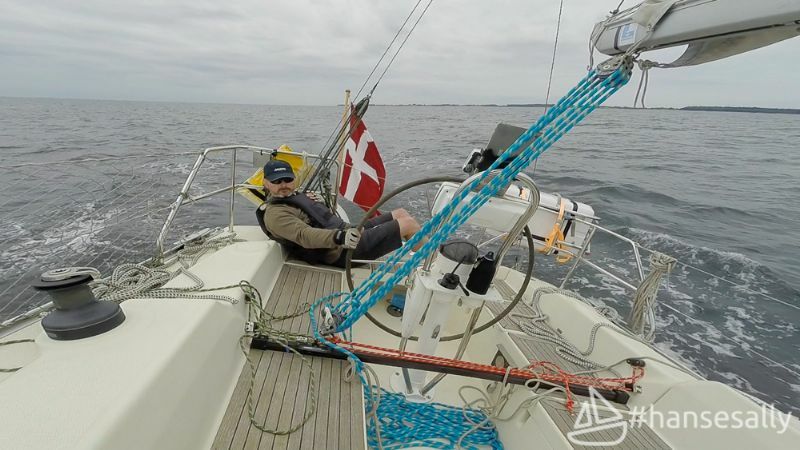 Cruising from Bagenkop, DK to Kragenæs, DK. Shipmate Felix is at the helm. Steady as she goes! 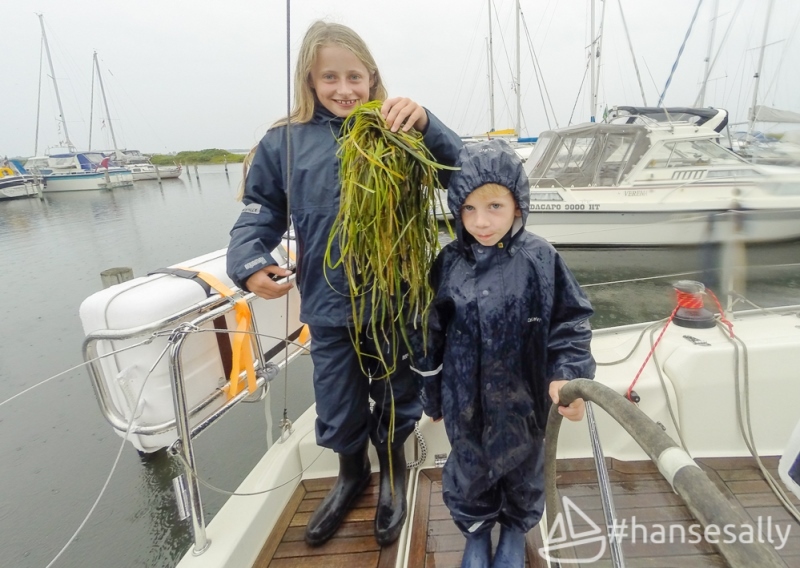 Just outside Kragenæs, DK we caught quite a bit of sea-weeds with the prop! The Storestroem Bridge is straight ahead! 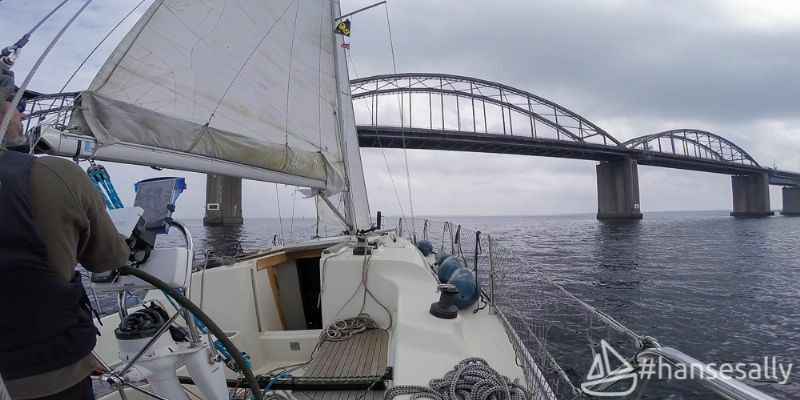 Passing the Faroe Bridge (Farøbroen) which also connects the island of Zeeland with Falster. Inbound Stubbekøbing, DK. Time for some ‘relaxed’ cruising. 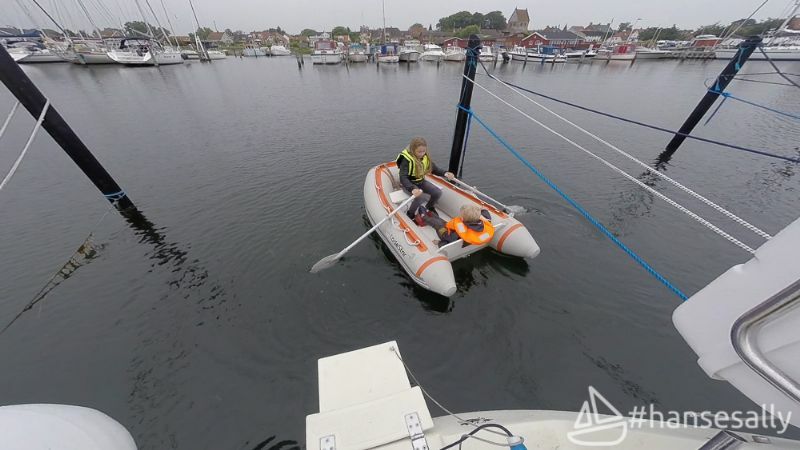 Kids in the dinghy at Stubbekøbing, DK. 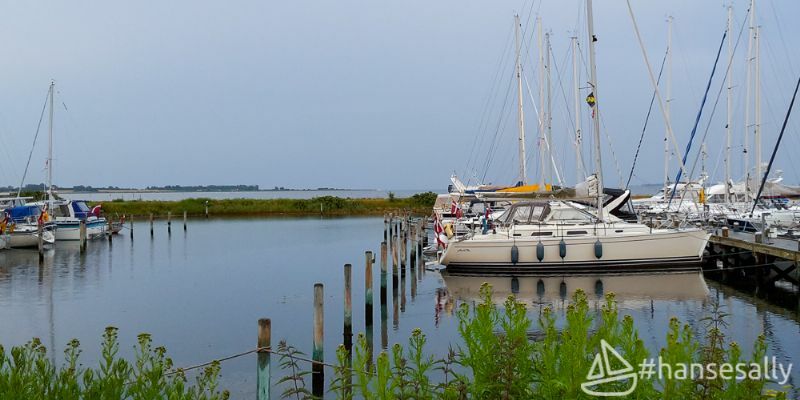 Beautiful view from our mooring spot at Stubbekøbing, DK. 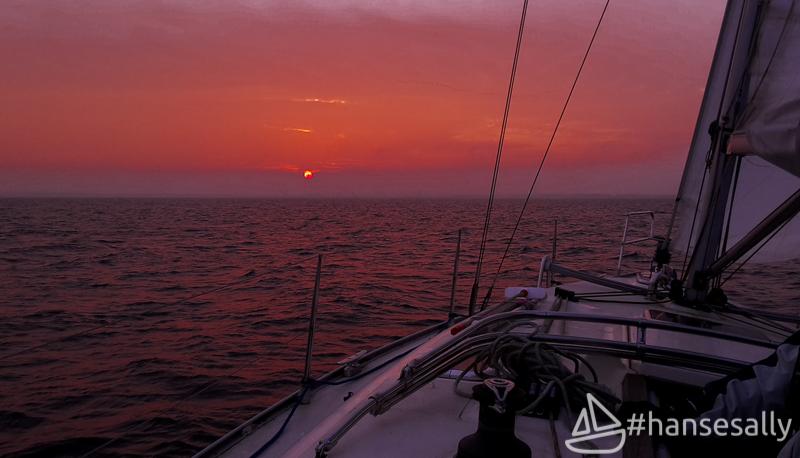 Sadly we haven´t had that many days this summer with blue skies… but wind has been good! Thanks for sharing! 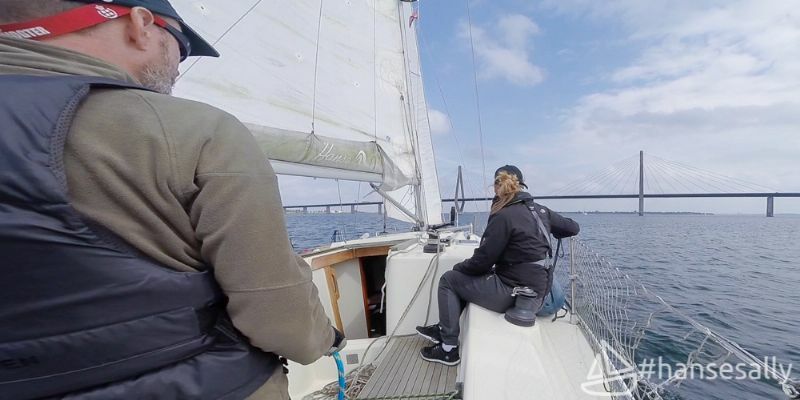 It brings memories back from when Emilia sailed through the Kiel canal to Hamburg. We also sailed through Stora Bält at that time. It was actually in 2007, so already ten years ago. Time flies! Your 342 looks much better than the 675 you spotted but then again, I am biased. Keep the pictures coming. I really enjoyed following your trip. Thanks Johan :-) Glad you enjoyed the photos. I must add that I´m a fan of the Emilia thread, what now, 65 pages and counting? Last weekend we cruised to Flakfortet. It´a personal favourite of mine. From Wiki: Flakfortet, meaning sand-shoal fortress, is a sea fort located on the artificially built island of Saltholmrev, in the Øresund between Copenhagen and Saltholm. The island and fort are simply known as Flakfortet; the name of the island; Saltholmrev, meaning the reef near Saltholm, is seldom used. Flakfortet was the last of three artificial islands that the Danes created to defend the entrance to Copenhagen's harbor. (The other two are Trekroner Fort (the oldest) and Middelgrundsfortet.) Flakfortet's guns covered the Hollænderdybet channel between Middelgrundsfortet and Saltholm, and the Flinterenden channel between Sweden and Saltholm. Eventually Flakfortet became more of a site for anti-aircraft weapons than for coastal artillery. Its military functions ended in 1968. 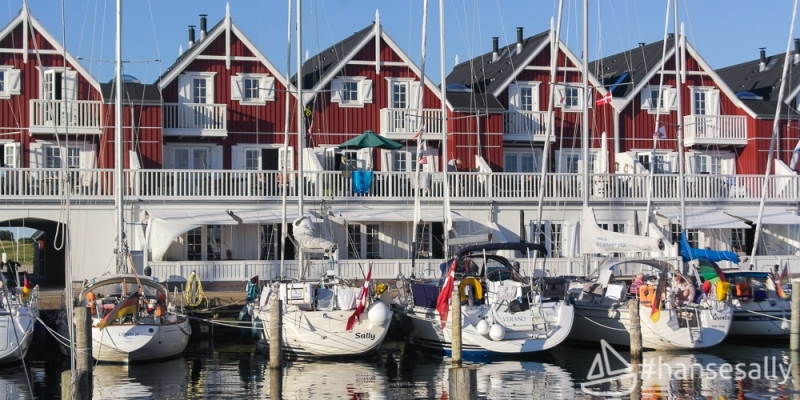 Flakfortet is currently used for recreational purposes such as concerts, and the site has a restaurant and yacht moorings. 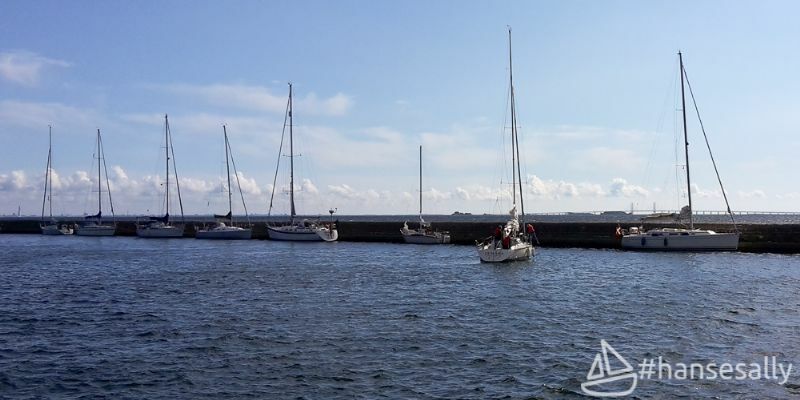 During the summer, a ferry company, Spar Shipping, has five scheduled trips per day to the island, with the trip from Nyhavn taking about 40 minutes each way. There is an overnight hostel on the island too. 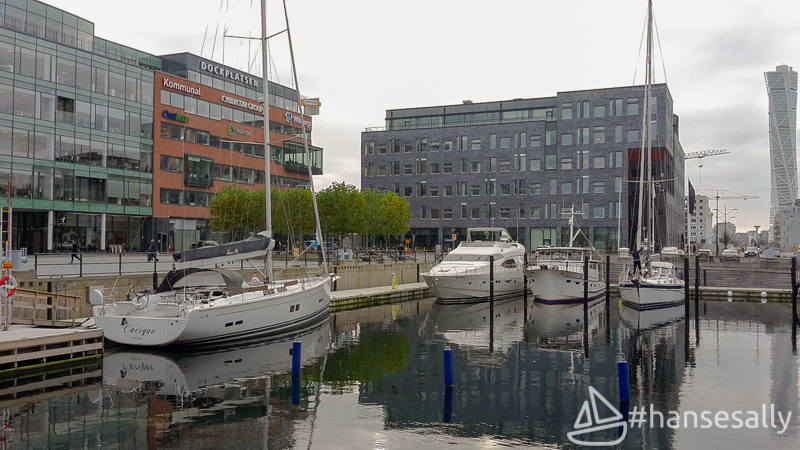 This week we spent a couple of days in Malmö City Dockan Marina. 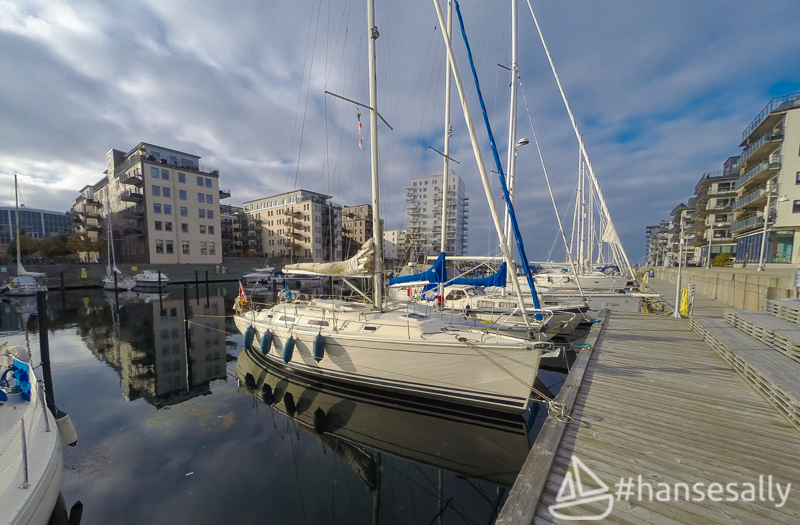 A very cool place, as it is situated right in the middle of a new upcoming part of Malmö. There was also a cool 575 in town! I have sailed passed Flakfortet many times and wondered what kind of island it is. Having read your post I have set my mind to visit it the next time I am around. I didn't even know there was a harbour there. I have been to Dockan though. I met up with the wonderful people on the Danish 342 Amani there a few years ago. Thanks for sharing those wonderful pictures. You boat looks fabolous. 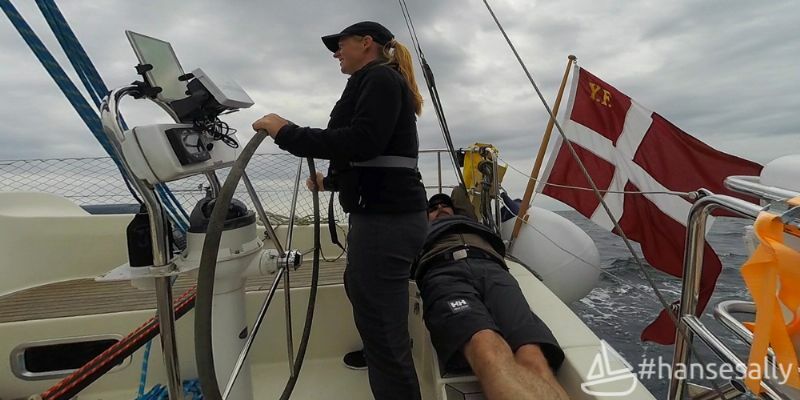 I stretched my season to the end of September this year and had some great sailing, plus a couple of stormy periods. Normally I lift out during the first week of September. I am interested that you are still sailing towards the end of October. How are you finding the weather and temperature? Flakfortet is only a short trip from my home port, so we go there regularly. A very cool place for the kids! Going there on a summer afternoon after work is just a blast. On weekends though, the place gets quite crowded. There is a nice restaurant there as well. 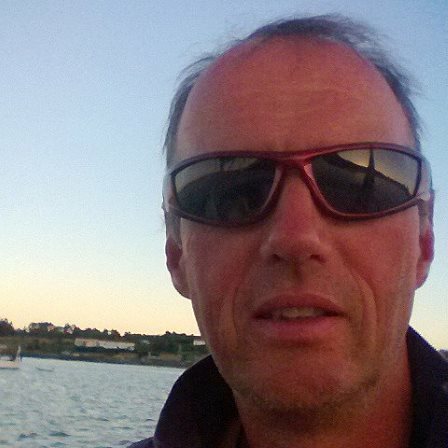 One of my kids sail Opti and their season carries on until week 42. 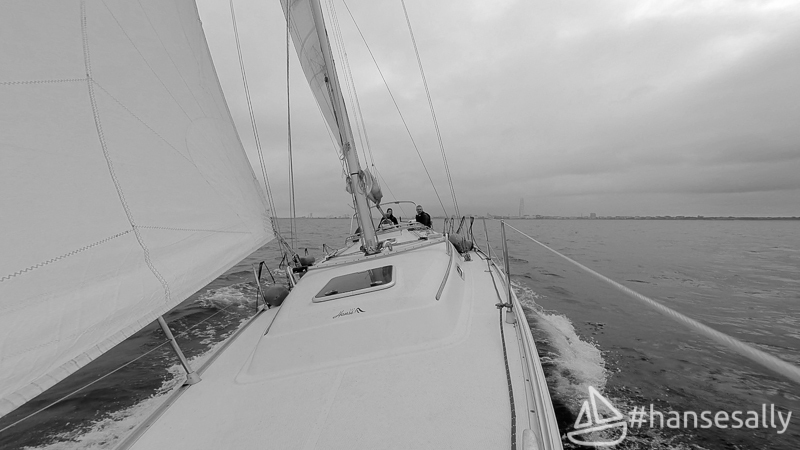 This weekend it was sadly time for the last and final cruise this year. 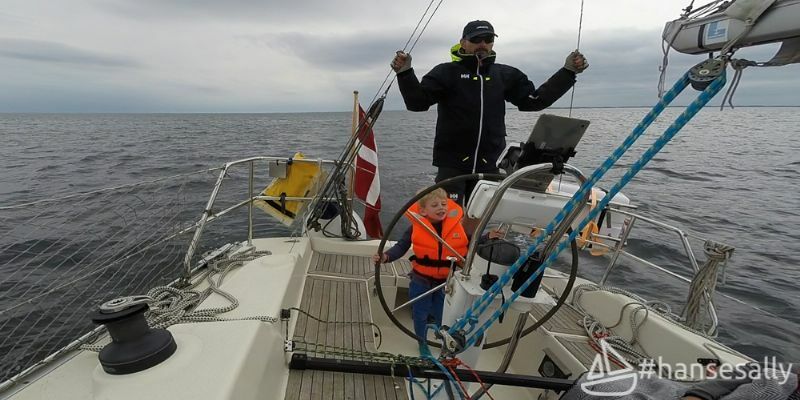 We enjoyed 6-8 m/s in Køge Bugt (Bay of Koege). At the end of the day we were treated to this beautiful sunset.